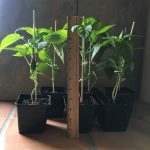 Padrón pepper plants are now for sale! They are ready early this year but nights are too cool to plant them outside yet. If you have a sunny windowsill, you can keep them there until the nights warm up to about 50 degrees. The plants which are in 4″ pots are approximately 8″ tall and growing. $5.99 each, or 3 for $15.00. If you’ve never eaten these peppers, you’re in for a treat! Somewhat similiar to Shishito peppers, they have a more intense flavor and about every tenth pepper has a surprising heat. Harvest the peppers when they are 3-4 inches long, sauté them in olive oil until blistered on all sides, add sea salt and eat! They make a great tapa or side dish. These peppers can sometimes be found in local markets but often they haven’t been picked at the optimum time. In that case, all of them may be extremely spicy. The best solution is to grow your own plants! 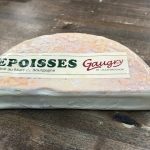 Époisses de Bourgogne cheese: Stinky cheese lovers, rejoice! 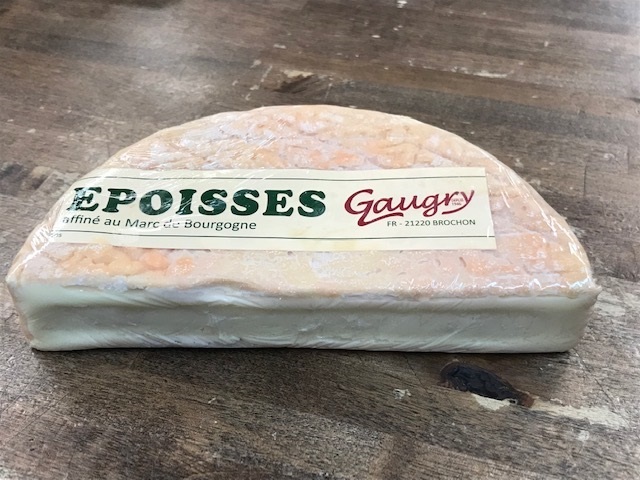 We now have a 2-pound wheel of this flavor-packed Burgundian cheese. Made of pasteurized cow’s milk, the rind is washed with Marc de Bourgogne. It offers a creamy texture with a pungent, salty and unforgettable flavor. You may now get a 1/4 pound or more of this cheese, sliced to order.